Leave a Comment on Everything you need to know about Windows! If you follow my Instagram stories you’ll have seen my excitement last week when the first of our windows was fitted. Seeing the very old, broken white UPVC windows come out and the beautiful new anthracite windows go in was super exciting. The windows really complement the new fascia boards and I’m pleased to see that it sets the house apart from others. We ordered our windows through a local company who was recommend to us, the Conservatory and Window Company based in Thornbury. Since the windows have started appearing on my Instagram account I’ve received a number of DMs about everything to do with the glass beauties, so to try and help I’ve compiled this post to answer some of the most common questions I’ve had. 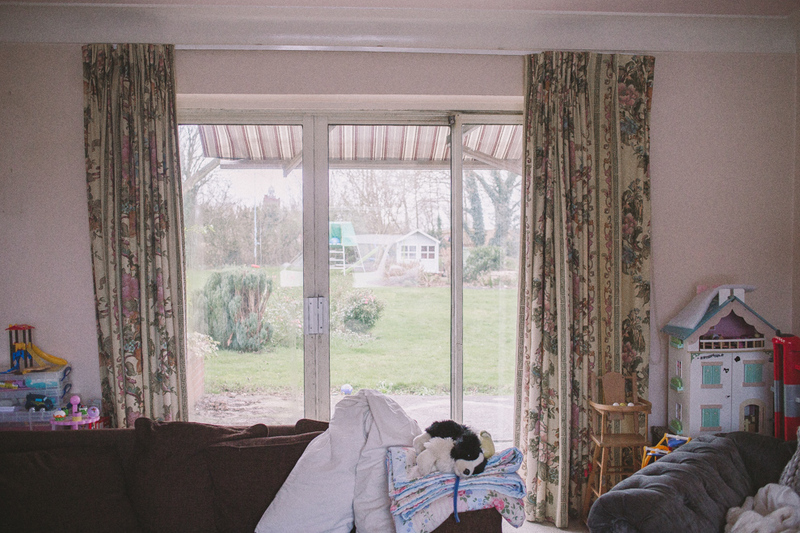 Firstly, the existing windows we have in the house are the original windows that would have been installed when the house was built in / around 1964, so they have lasted a long time. Unsurprisingly they now let in the cold, the poor thermal values were just not up to modern standards. What’s the best way of deciding on the style of window you want? Aesthetics is a big thing with windows. 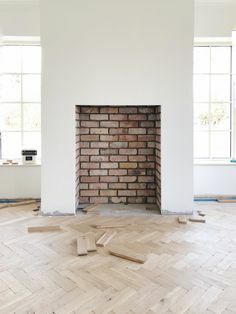 They really can make or break the look and design of a house renovation. Symmetry of windows is often seen as quite important to ensure a balanced look, so it’s good to decide on an opening style you like and then carry that through the house. 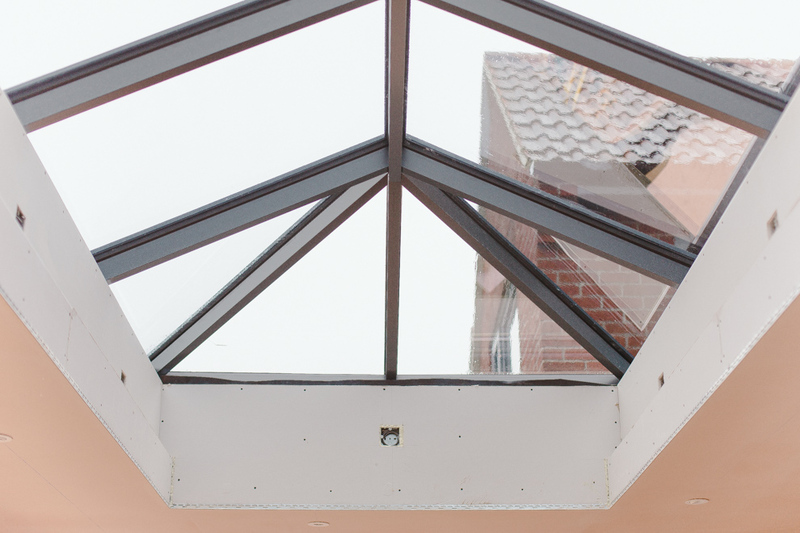 Whilst symmetry is really important, one area where we didn’t do this was in the extension, we have a flat roof light over the kitchen area and a large roof lantern in the extension. This decision was partly due to the roof pitch above the kitchen area but also for the different impacts you’ll get from both. However, we considered symmetry in all the other window choices we had to make. We knew that we didn’t want white window frames on the exterior, so Sam at the Conservatory & Window company showed us a number of alternative colour choices. We then compared these to the red brick to decide which of the different colour choices we felt complemented the house the best. Aluminium tends to be approximately 50% more expensive than a baseline PVC. It’s not unusual to mix aluminium and PVC which should help with cost. 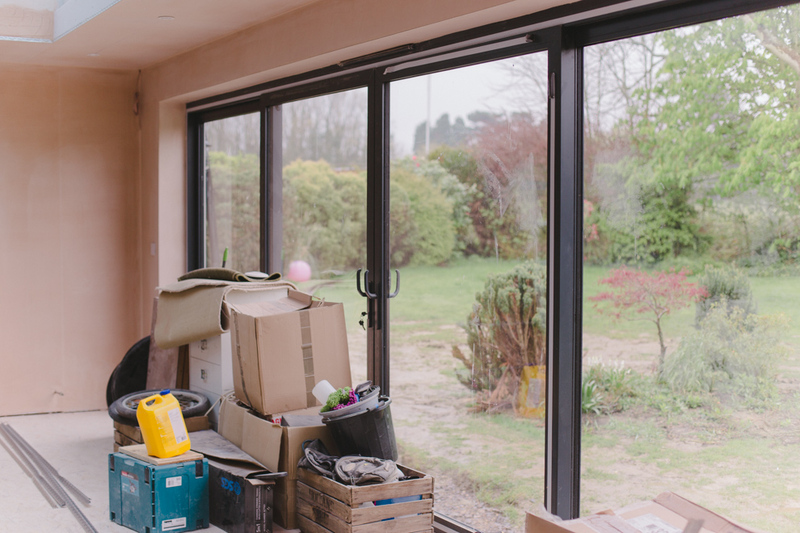 Often larger doors such as bifolds and sliders are better suited to aluminium. It’s always a good idea to be mindful of fire escapes in bedrooms and understanding the safety aspects of opening the windows was also something I wanted to understand having two small children. What are the key things someone should consider when choosing windows? 1. Fire escapes where possible, at least one window in each room needs to be big enough to escape through if there is a fire. 2. Does the window have a hinge setup to allow for cleaning windows from inside on upper floors? Some windows will work on a slide to enable you to move them to be able to clean the outside from within. 3. 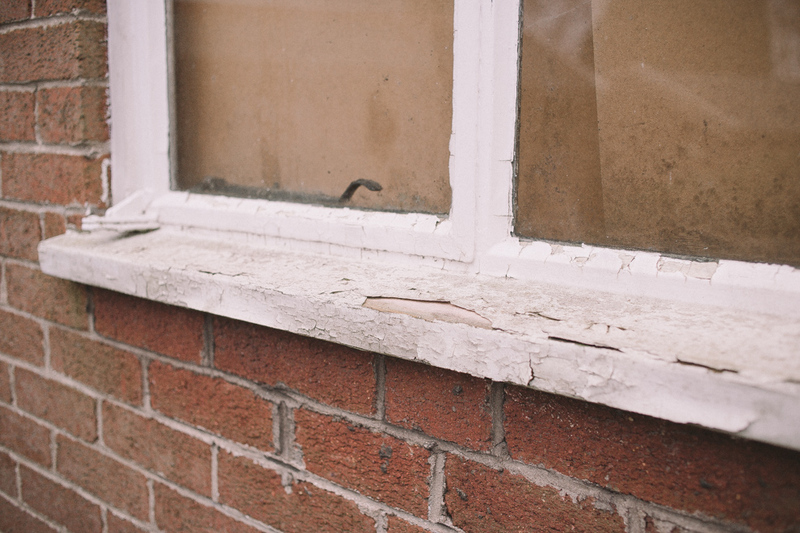 Replacing windows is normally a good idea to complete towards the start of a renovation project. 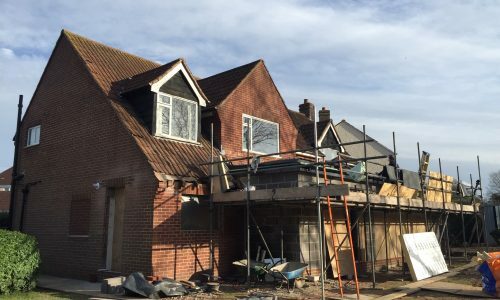 It’s better to be finishing them earlier into the project than replacing once internal works are complete. 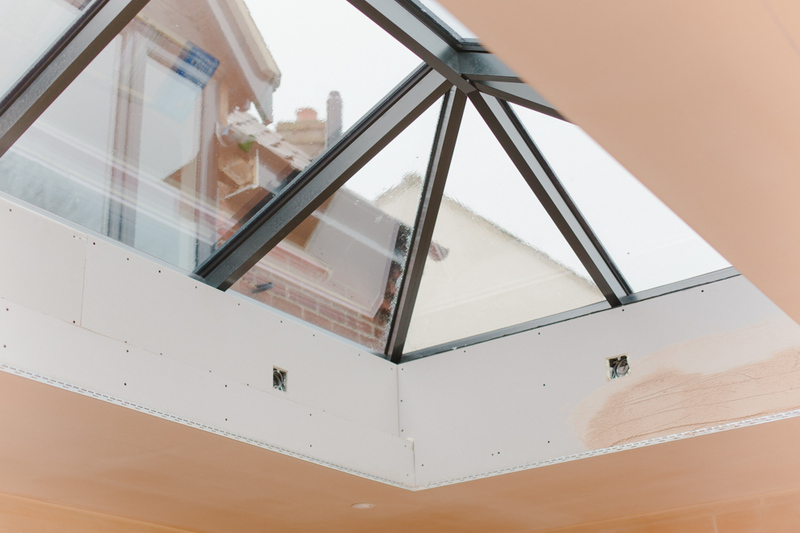 Our windows were installed after our roof work had been finished, the last thing you’d want is someone working on the roof to drop a tool or roof tile straight through the newly installed roof lantern. So the timing of when things happen is really relevant. 4. Think about the colours of windows available and dual colour options. Whilst we have chosen anthracite (RAL 7016) exterior frames we decided to stick with white for the interiors. 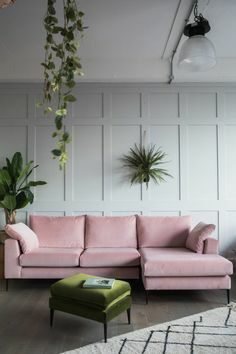 We did briefly consider a different interior colour but we felt that this could limit us in the future regarding our interior decor choices. White inside often brightens up rooms too. 5. Try someone local – you often receive a more personal service. 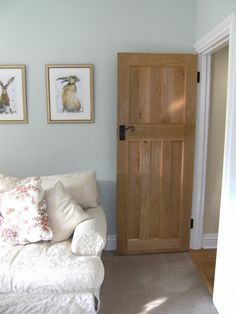 Using a local company really worked for us, Sam was able to drop samples off to us at home, he popped in a couple of times at short notice when we had queries and I felt that we received a really good service. Also, for piece of mind, ensure the company you chose offers an insurance backed guarantee. They should also be part of a Competent person scheme. i.e. FENSA. How do you decide over flat glazing or lanterns? We went for both. 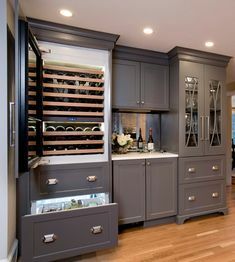 The new space will house the kitchen and also the second living space, so it has a dual use. As these are two separate areas we didn’t feel that the need for symmetry was necessarily as key as if the space was just housing one room. 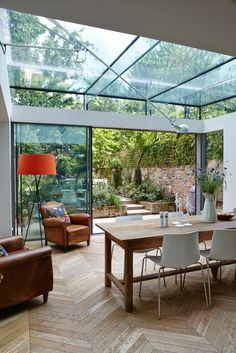 The lantern will offer a more striking feature and has very little limitations in terms of overall size – the glass is also tinted, to reduce glare from direct sunlight. 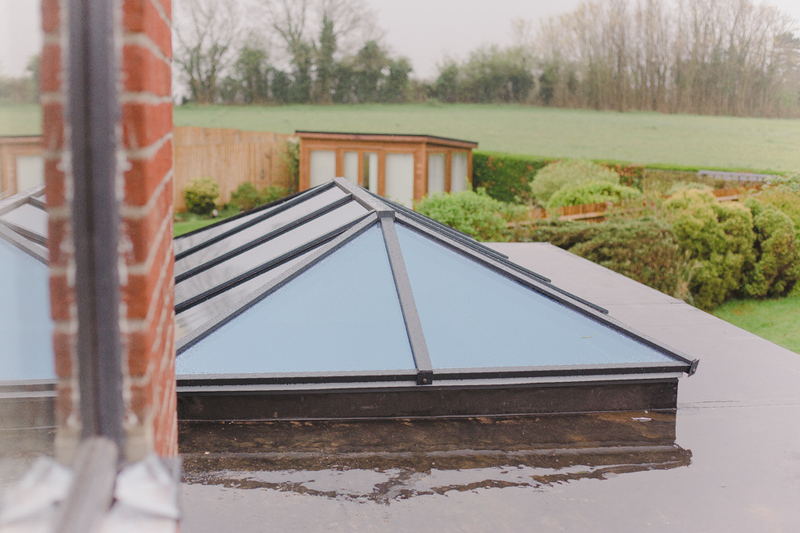 The main feature of the flat roof light above our kitchen island is that it lets in a large amount of light and gives a real illusion that there is nothing there but open sky – we could have gone for another lantern, but the pitch would have partially obstructed the view from the bedroom window above. 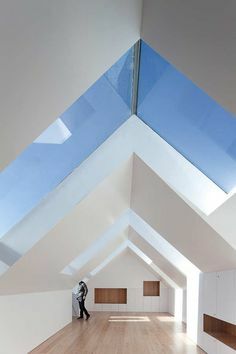 NB, If we had a pitched roof in the extension (we did not have sufficient fall/pitch for this due to the upstairs windows), we would have considered roof lights. 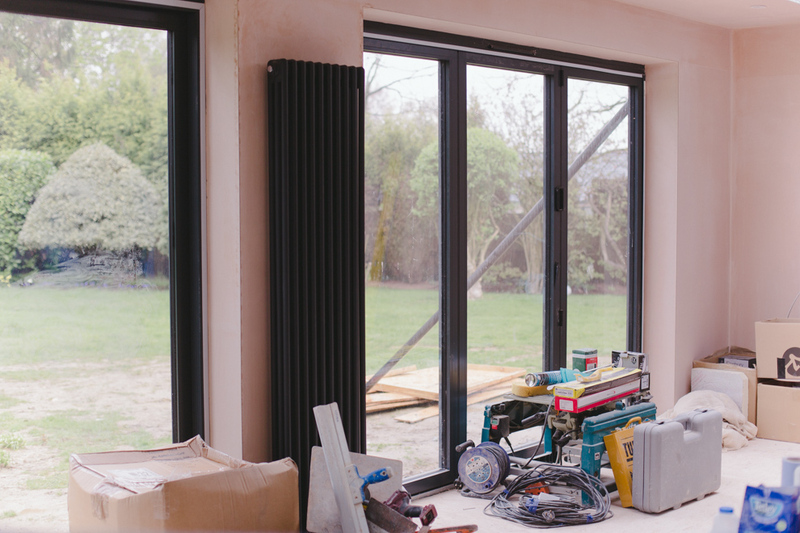 Why would you go for Aluminium instead of UPVC? 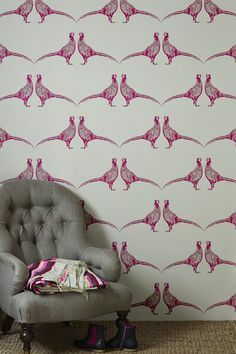 Aluminium can often give a more contemporary look and has an unlimited number of colour combinations. 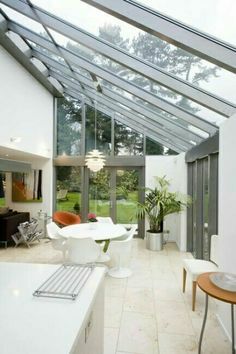 Along with that, the sight lines for aluminium are narrower than PVC resulting in larger glass panes. With the advancements of aluminium, this is all achieved whilst still maintaining the high levels of insulation. In the downstairs playroom window (the former dining room), we paid extra to remove the need for a split line down the middle (£250 extra due to a thicker glass required). This meant that we could still mirror the style of the bay window upstairs. 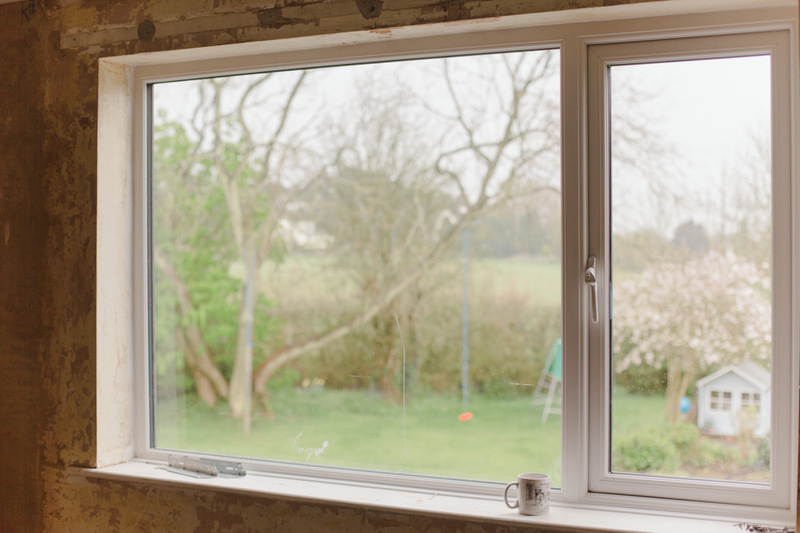 How would you determine if you need double or triple glazed windows? 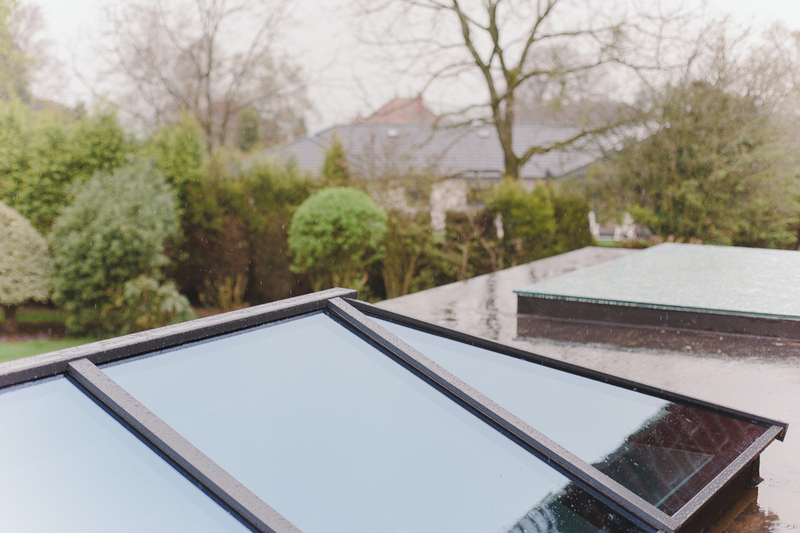 Triple glazing does offer two key factors, improved sound insulation and higher levels of efficiency. 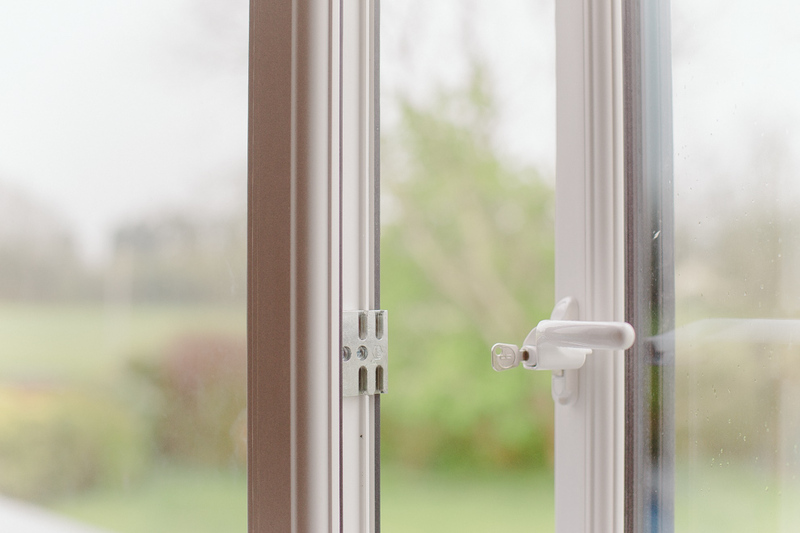 The cost of triple glazing is a factor, and often an A-rated double glazed unit offers better value for money. You can still achieve extremely high levels of insulation with double glazing. Usually triple glazing is worth the extra money if you are in an area with higher than average levels of noise pollution. 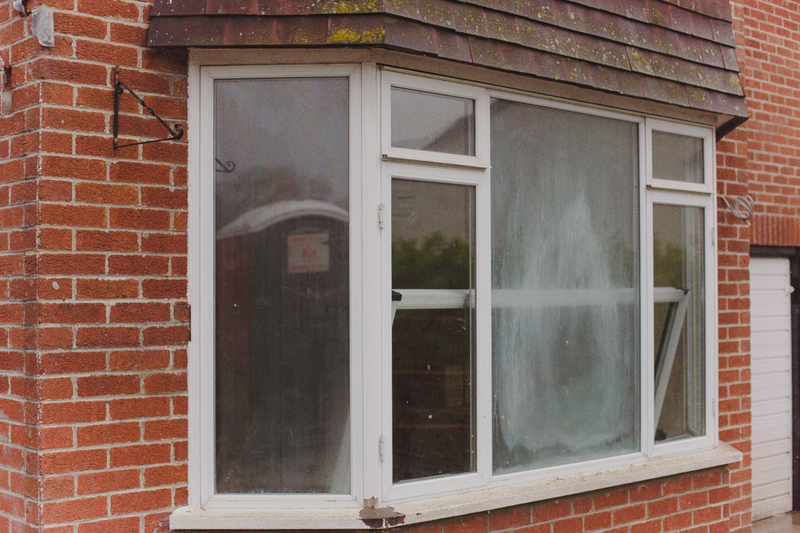 We decided we didn’t need this and were really happy with our choice of double glazing. I hope this helps answer your glazing questions? Have you chosen your windows yet? Do drop me a comment below and let me know what you’ve decided upon for your project, I’d love to hear.